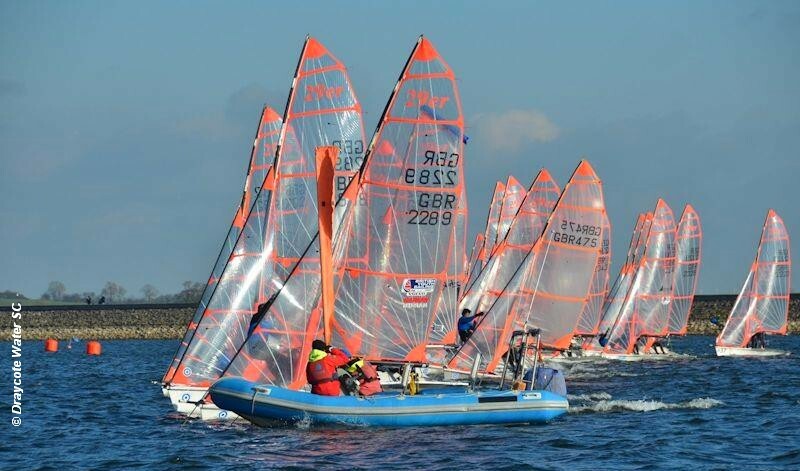 Ewan Wilson and Fin Armstrong of the Wormit Boating Club were winners of the NeilPryde Sailing 29er Winter Championships at Draycote Water SC. Wilson and Armstrong won three of the eight races, finishing four points ahead of Monique Vennis-Ozanne and John Mather, who also won three races. In third place, three points back, were Tom Storey and Pierce Harris. Other race winners were Aled Llewellyn-Jones and Ben Willet, finishing 5th overall, and Archie Leckie and Ben Ibbotson who finished in 7th place overall.